You going to put a new top on it? Im gonna put bed liner on it and see how that looks. I just might bag it and make it a lowrider in the future. Thats why I asked,, I used Herculiner. 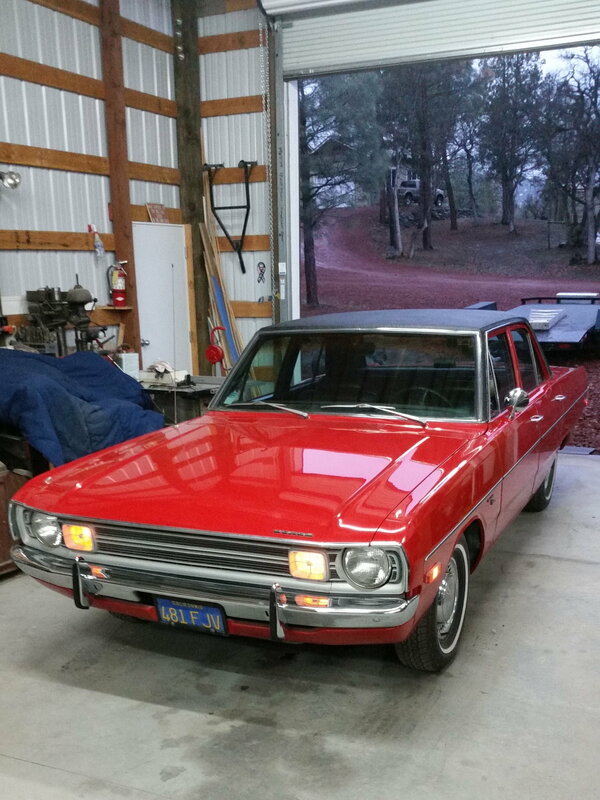 My 72 Dart had a lot of surface rust, not through rust but around the windshield leading edge where the top failed . Took care of the rust, rollers applied the liner. When it set up, I blocked it down a bit to mimic the vinyl that was there. I then shot some low sheen black auto paint on top the liner.. Came out very nice. Other than missing the material seams, hard to tell..
Nice. I had a 71 duster with a slant in it. Other then a paint refresh 15 years ago,, top about 3 ago, a few wear parts here n there,, all OE and untouched.. Thanks for the tips. I hope mine turns out good. Whats causing it to almost stall when it shifts? It does it the most when going slow and on second gear. EGR flow, excessive, or not under management control, off idle. Carb accelerator pump weak or missing a healthy spray, carb Power valve can bleed (generally a hard/rich start after some hot soak time) or have stiff diagram issues. If on a brake hold, and the throttle tipped in slightly, can you create or duplicate the stubbed you noted? Last edited by Mightyox; 04-09-2019 at 07:42 AM. I manually shifted the car today it doesn't happen on the or near the shift. Its about 3 or 4 seconds into me pushing the pedal from a stop. It might be the old fuel lines. I have a lot of rust in my inline filter. I just put it on, and the gas tank is new. I might drop the tank. The gas gauge isnt working anyway.